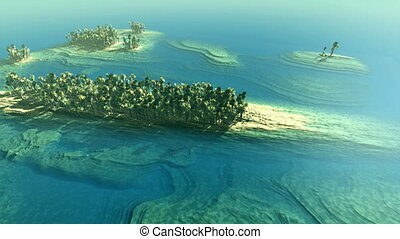 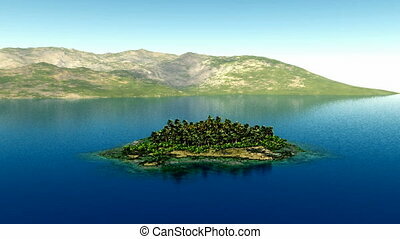 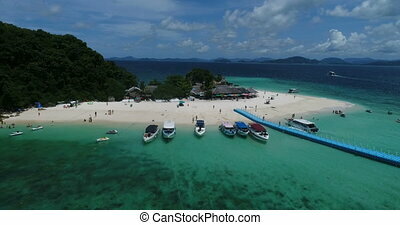 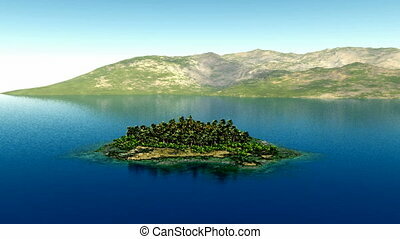 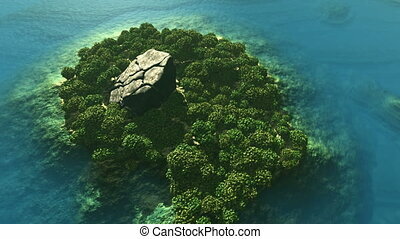 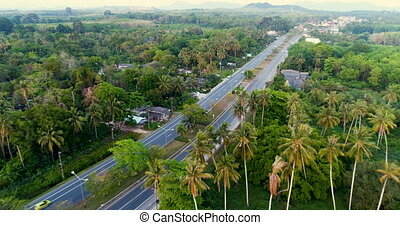 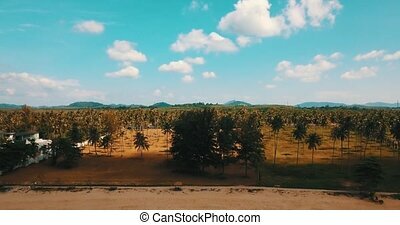 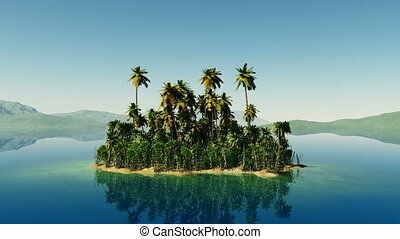 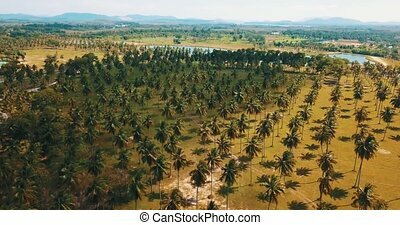 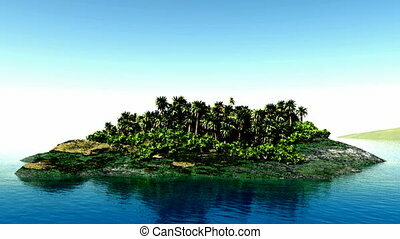 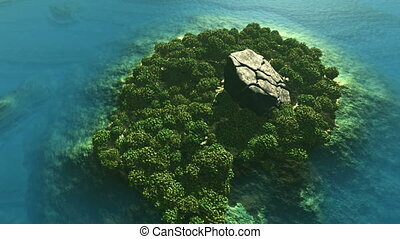 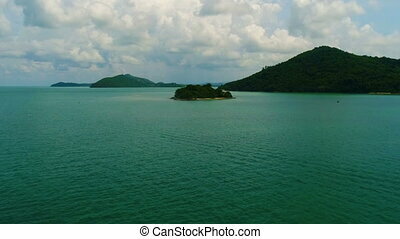 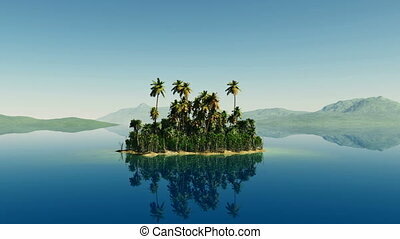 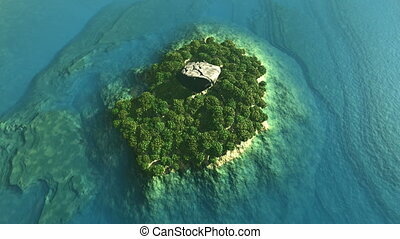 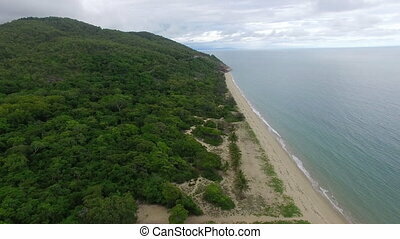 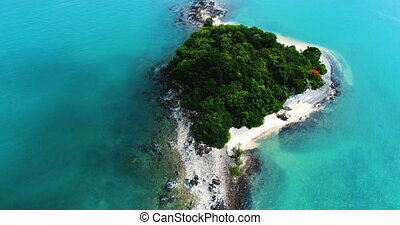 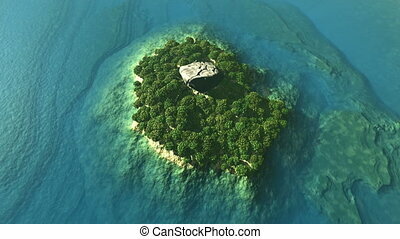 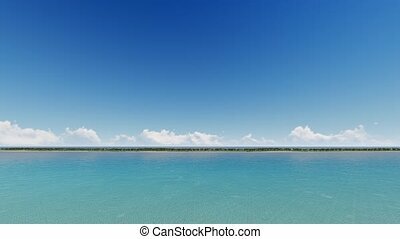 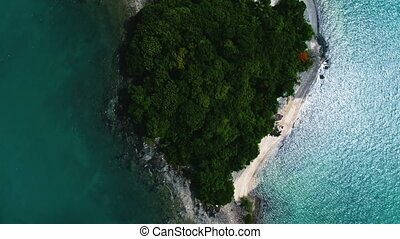 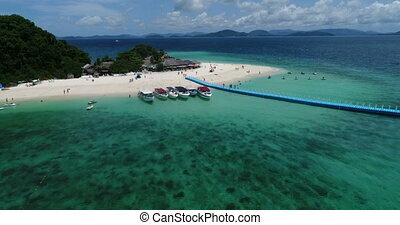 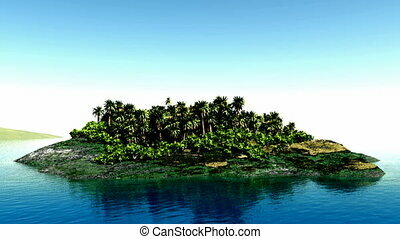 Aerial shot of tropical island. 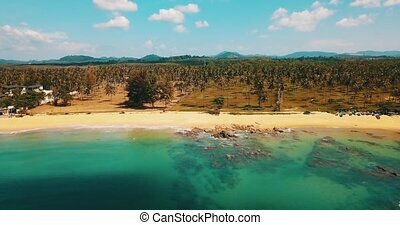 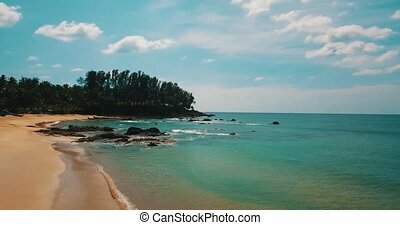 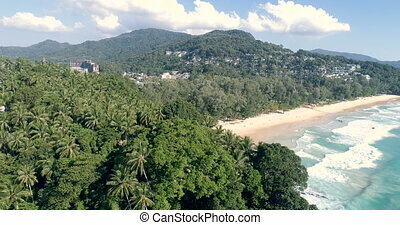 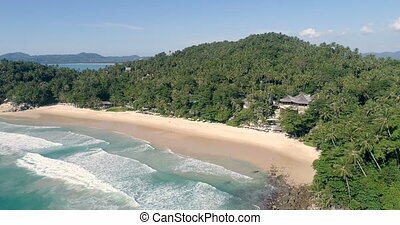 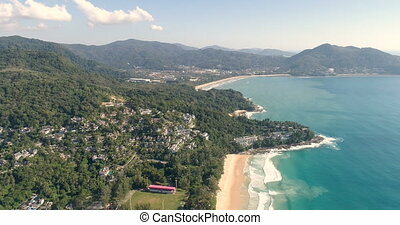 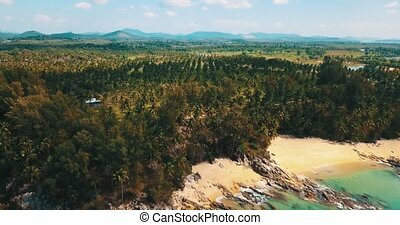 Aerial drone view of surin beach in phuket, thailand. 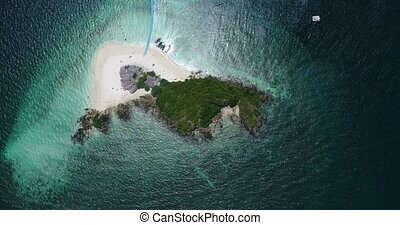 An aerial shot of a beautiful island. 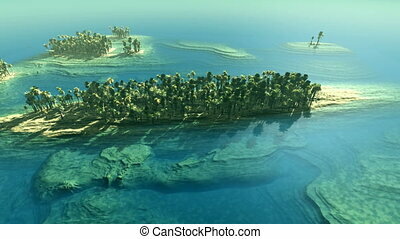 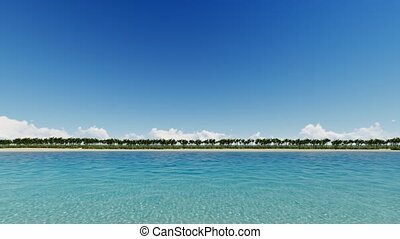 Green tall trees grew on the island and while blue ocean water surrounds the island.